The Dower and Hall Sterling Silver Wild Rose Disc Pendant features a beautiful 28mm disc pendant featuring a rose, and is suspended on a sparkling double ball chain. The necklace is a stunning addition to any outfit and is a perfect gift for her. The chain is 30 inches in length and is finished off with Dower and Hall's signature quatrefoil clasp. 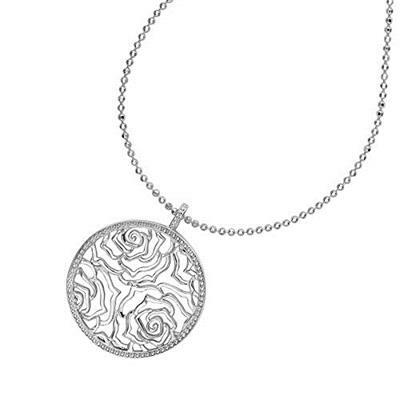 The necklace is made from Sterling Silver and features an openwork floral disc design pendant.